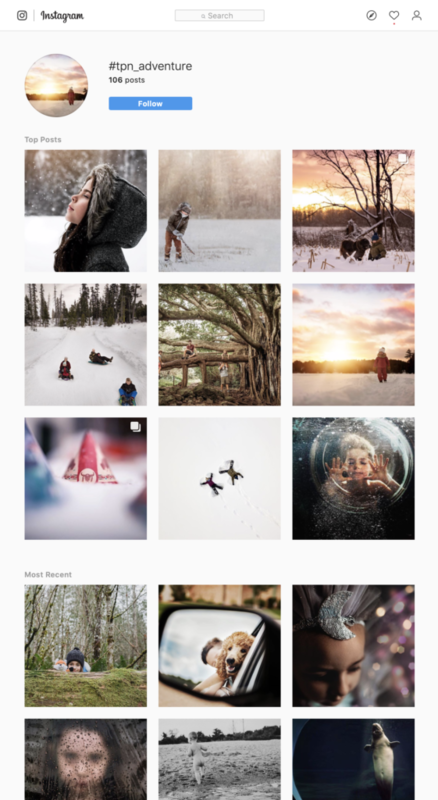 So, I realized awhile back that instead of doing a Top Posts as a grid of nine, as was the case for as long as I can remember, Instagram changed Top Posts to a never-ending stream of posts. Let’s quick clarify what I’m even talking about: When you search for a hashtag on Instagram or tap on it to view all posts that used that hashtag, you have two ways of viewing the results. The default view is Top Posts. The other, that you can tap to view, is Recent. As mentioned, back in the day (maybe a few months ago?) the view was very different. Top Posts displayed as a top nine grid and Recent was below that grid of nine. I actually set out to count the number of Top Posts, thinking it might be, I dunno, less than one hundred. Well, I should have scrolled a bit first, because I gave up after going over 300 posts. 300 Top Posts? Really? And after I got to 300, I scrolled and scrolled and it never ended. I think it was actually going to show me ALL of the posts that used that hashtag – NOT the “top” posts. 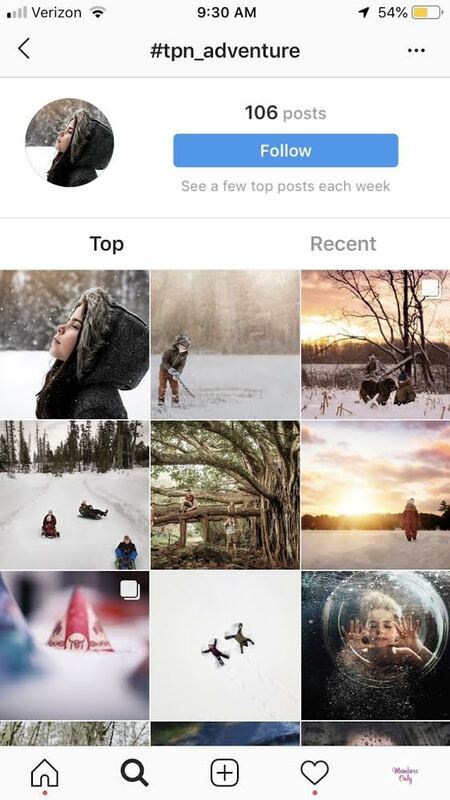 Instagram, on their own website, says that Top Posts are most popular. But it’s just not the case anymore. There’s really no rhyme or reason to Top Posts. It used to be a goal to try to hit Top Posts for your hashtag, for more exposure, and for my people, to get featured. When a moderator of a hub searched their hashtag, they were immediately seeing the most popular (possibly the best, most valuable posts) for that hashtag. It made a mod’s job easy – the best posts were usually in the Top Posts grid of nine. But now? Not so much. It’s basically a rearrangement of the Recent Posts. Is it really valuable anymore? And more importantly, should it be a goal to hit Top Posts? I got a DM from a HubHack member concerned that her posts were never hitting Top Posts anymore, and so I endeavored to try to answer her. But I was faced with this odd dilemma – the Top Posts just ain’t what they used to be. I first began my research with a google search bar. But not a single article I found and read was written recently, after the change. Sure, I could tell you how to get into Top Posts when it was a grid of nine, but now? It’s a total crap shoot. One thing that kept coming up again and again and was tested is that my Top Posts for a certain hashtag is NOT your Top Posts. Apparently the order and posts shown are customized by the user’s activity. So, let’s take the example of a really generic hashtag, like #lovethissomuch. If you’re a dog lover and follow and engage with doggie accounts, you’ll see doggie account posts in your Top Posts for #lovethissomuch. If you’re a food blogger and all of your engagement is with other food bloggers, you’ll see food posts in #lovethissomuch. See where I’m going with this? I won’t bore you with more examples then. I also set out to do my own research. I started with a hashtag that had over 1000 posts tagged to it, #moc_094. That wasn’t the best hashtag to start out with, and you’ll see why in a moment. I pivoted and then used a hashtag with only 100 posts tagged to it. That was more telling of what’s really going on here. 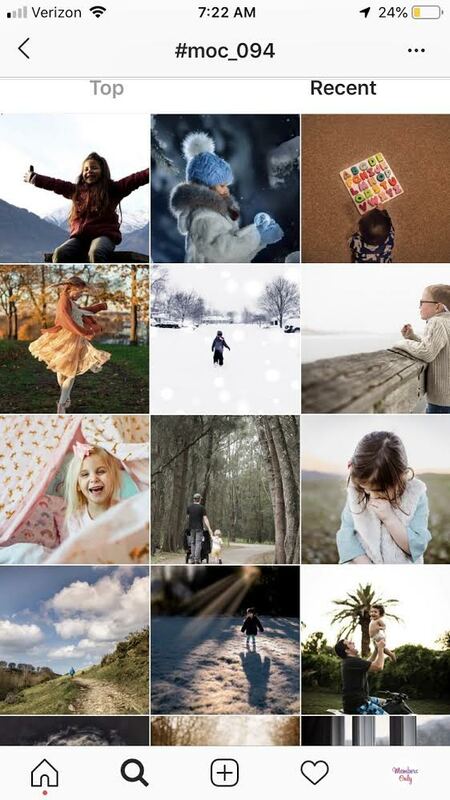 Only one image was the same in the top nine position, the one of the little girl with blue mittens and a blue hat. It was posted approximately 2 hours prior to my screenshot, so pretty recent. I neglected to record the engagement data at 7:22am for that post, but two hours later, it’s now 9:20am, that post has received 204 likes and 24 comments. Not staggeringly high. The caption is in what appears to be a Russian language, and the account owner has about 4,400 followers. So, not a huge account. One thing to note is that she posted the image at about 5am Eastern time. So, perhaps timing was key. What is this??? Well, my my! I see a Top Posts grid of nine images with the Recent posts below! It’s the old view, on a laptop! But are mods searching for feature-able images on a laptop? I think not… And it looks like 5 out of 9 in the top nine are the same! Ah, this is interesting! It shows the top nine as identical to what I had on my phone. 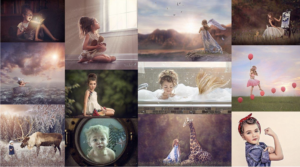 The recent posts are identical, but Angie Rethwisch’s amazing shot is left out of recent posts, because it hit top posts. Why did that shot hit Top Posts, you might wonder? Because it’s amazing, that’s why. Just this morning, I’ve seen it featured everywhere. Nicely done, Angie. Here’s the most interesting thing I found by looking at #tpn_adventure: When I counted how many posts were in Top Posts…. It was the exact same number as the total number of posts. So, Instagram just ranks ALL the posts by popularity? That’s just odd to me. 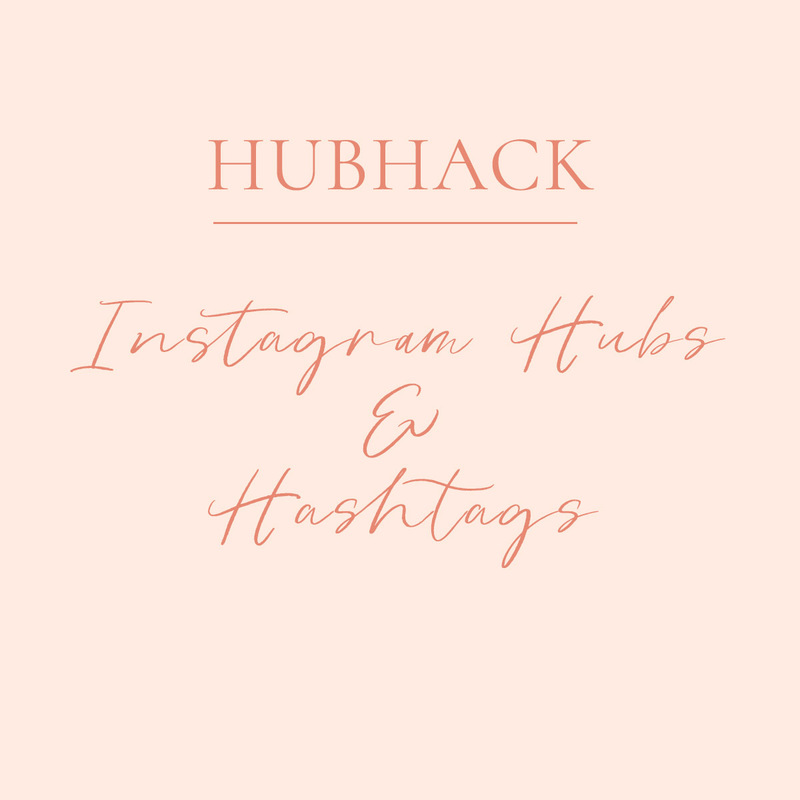 Although I much prefer the Top Posts as a grid of nine – that way you clearly see the 9 most popular (as defined by the Instagram algorithm) I do believe that the vast majority of mods of hubs are actually searching on their phone. So, let’s look closer at the Top Nine for #tpn_adventure, shall we? Sunset and snow: 258 likes, 69 comments, 6441 followers, posted 22 hours ago. 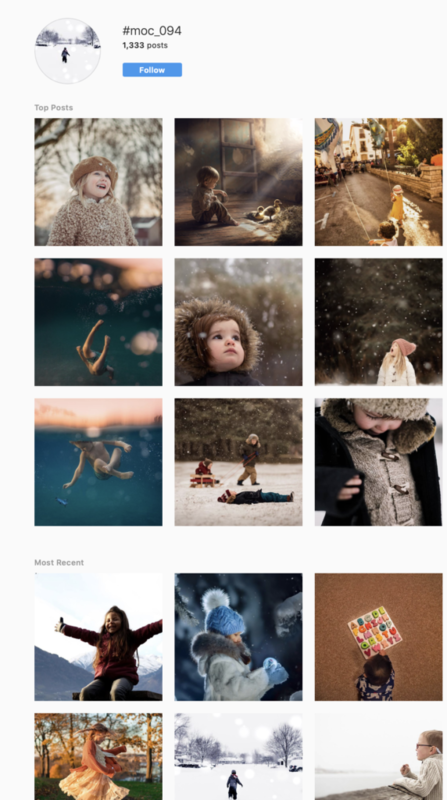 Cones, depth of field: 85 likes, 72 comments, 1434 followers, posted 1 day ago. 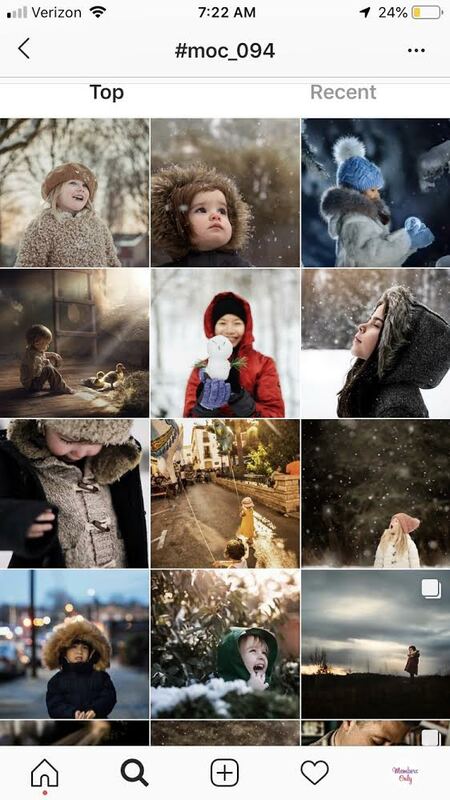 Snow angels from above: 269 likes, 88 comments, 748 followers (same account as above!) and posted 3 days ago. Angie’s image of the boy underwater: 35 likes, 5 comments, 302 followers (this is the hub’s feature!) posted 53 minutes ago. Ok, now what can we discern from this? Um. Nothing. I see no discernible patterns whatsoever. It doesn’t matter how many followers you have or when you posted. It doesn’t appear to matter what kind of engagement either. The conventional wisdom is that rapid engagement (meaning, likes, comments, saves and shares within a short period of time after posting) is what boosts a post to Top Posts. Does it look like it does? Gosh, I don’t know, I just don’t think so. Look, I am not smart enough to figure out Instagram’s algorithm, clearly. Do you see any patterns? What should I research that I haven’t already? What about the posts that did NOT make it into Top Posts? 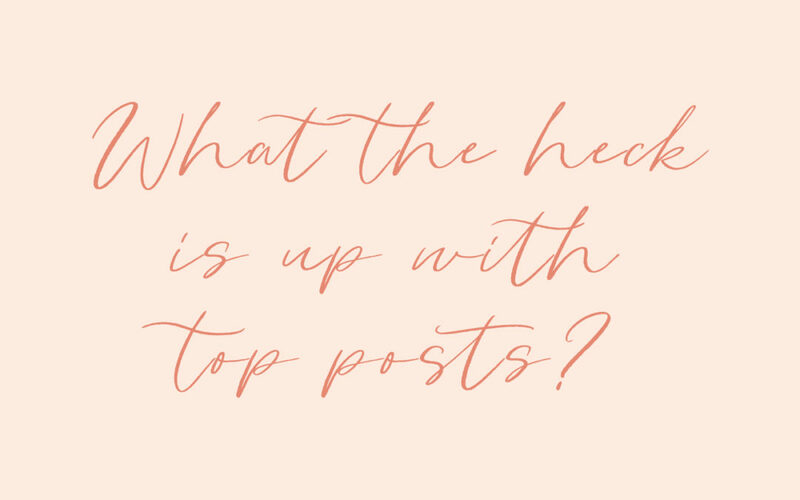 In looking at those, which I did briefly, there were most definitely posts that had higher engagement AND were posted more recently than others that made Top Nine. I don’t know. Maybe rapid engagement doesn’t have an effect on Top Posts after all. 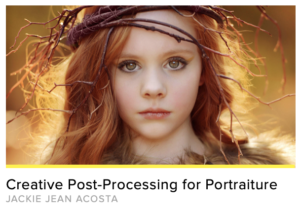 I do believe it pushes your post into more feeds, but I believe that only based on my anecdotal experience with my own posts – not on any type of research at all. What if all the time we spend in pods (or engagement posts, for HubHack members) isn’t worth it? It feels like it is – when I use an Engagement Post, I do “feel like” I get better overall engagement than when I don’t. Here’s the bottom line, and here’s what I’d say to my friend that DM’d me, concerned about not landing in Top Posts… Don’t stress about it. It’s weird and I can’t understand it. Like I can’t understand how you can send a fax over a phone line or how the internet works or even how a camera works. I have no idea. But don’t stress about it. You can’t control it, even if you tried. Instagram, ultimately, should be fun. If it isn’t, you probably ought to take a hard look and determine if you should take a break or give it up. It should be a fun place to share bits of your life and what you find interesting or beautiful, and also meet and hang out with some awesome people. Post for you, first. Post for your followers – the ones you already have, secondly. Do not post for the followers you don’t have yet. Engage with others, be kind and supportive. To get featured is fun and is a way to leverage the followers of a hub to grow your own following. But it isn’t the most important thing. Don’t make it the most important thing. I don’t, and heck! I do this for a living! Mods will continue to peruse through Top Posts while looking for features, and here’s the good news: Your post IS in there. 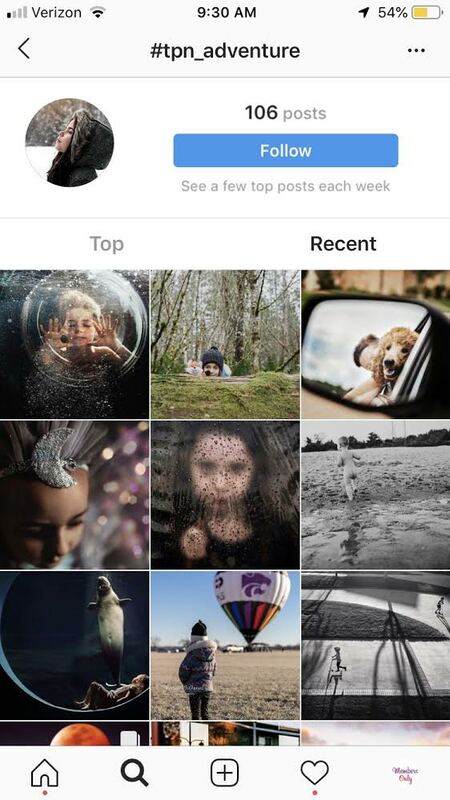 Instagram includes EVERY SINGLE POST tagged to that hashtag in their Top Posts, Are they in order of popularity based on some formula? Maybe… It doesn’t look like it, though, does it? What do you think? Tell me in the comments below or send me at DM over at www.instagram.com/photographerhack. This is interesting. I have been wondering about top posts. Often times when I see my photo near the top of the top posts for a hashtag, I wonder if I’m seeing it because it’s my own photo and if someone else looking at the top posts would be seeing something entirely different. I’ve also wondered about engagement posts. While I do definitely get a lot of engagement on the posts where I participate in the engagement posts, I’ve started to feel like I get significantly less genuine engagement. It almost feels like my posts are only seen by the people who are forced to like and comment, to the point where people I know in real life don’t even seem to be seeing the posts. Now, I will say that I still like to participate occasionally because I like finding new accounts to follow (which seems to also make me an odd bird and so many seem to only want to gain followers but not actually follow anyone back – or maybe it’s just me – I don’t know). Also, some of the nicest people who now engage with my posts regularly probably saw my account for the first time that way. As for the people who are playing these engagement games for every post, I’m just curious whether the algorithm picks that up and if they’d be better off sitting them out occasionally. Granted, I am extremely new to all of this, given that I just made my account public and learned what a hashtag was this summer. And, all of this is just fun for me. I’m not making any money and I’m sure I never will. I realize that having lots of likes and comments is important to accounts that are working with brands and such.